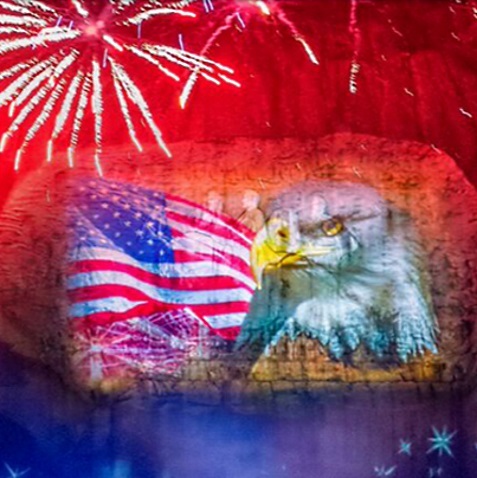 Join Stone Mountain Park for a special salute to the troops, extended fireworks finale, and the Lasershow Spectacular in Mountainvision® with jaw dropping fire effects now for four nights! Marvel as the skies above light up in a specially choreographed musical tribute honoring the brave men and women who protect our country. Enjoy exciting attractions including, SkyHike®, one of the nation’s largest adventure ropes courses, Geyser Towers®, a one-of-a-kind water adventure, Summit Skyride, where you can soar to the top of the mountain for unprecedented views of the city, Ride The Ducks™, where you can tour the Park in a splashy way…the adventures are endless!